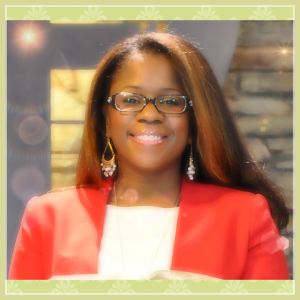 Naimah Ward is one who believes in the power of discovering your true self, your true purpose and then being in pursuit of what you have discovered as long as it lies within the scope of truth. As a devoted Wife, Mother, Pastor, Professor and Entrepreneur, Naimah has made this her personal mission to impact lives – Find a need and meet it! Find and hurt and heal it! Find a problem and solve it! Below is a guest post from Naimah. My turning point occurred when I began to realize the value in developing not just my skills to speak publicly, but my communication skills overall! Oh what an amazing eye opener this was for me! During my collegiate studies, I decided to challenge myself and enroll in an advanced public speaking course. After experiencing the benefits of facing this fear head on, I began to see how my life started to evolve. Fear no longer had me in its grip. I developed such a passion for the art of communication and public speaking. As an educator, I teach my students not only how to overcome glossophobia, but the process of how to develop into an effective communicator. In my pursuit of developing strong and effective communicators, I started my business Speak Confidently, an organization with the purpose to educate and train students and professionals in the area of communication and public speaking. In doing so, I offer training programs such as Boot Camps, Master Classes, Small Group Professional Trainings and One-on-One sessions. Because I have walked this path, it gives me great gratification seeing my students and clients enter with such fear and uncertainty, and after weeks of teaching, pursue new heights in life as a result of discovering who they really are. How? It’s simple – the study and understanding of communication, goes far and beyond what one may assume. Your perception – how you view yourself – greatly affects how you communicate with yourself and others. My truth is – Knowledge and Understanding equips you to become more Effective!